Let's get one thing straight: regardless of your popularity or relevance within the world of sports, you can't expect to shame New York City without expecting some form of hostility in return. Fox Sports analyst and radio host ​Doug Gottlieb started a bit of a firestorm with NYC devotees when he tweeted that the city doesn't produce star basketball players. 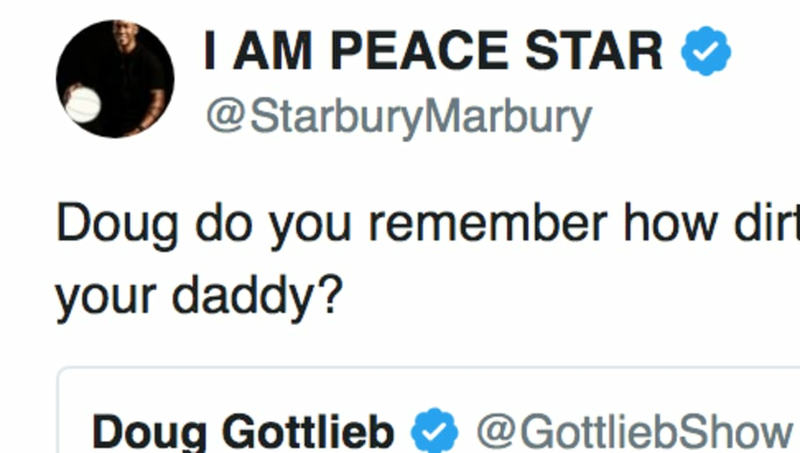 And it was none other than ​Stephon Marbury who came to the Big Apple's defense as the former Knicks point guard clapped back at Gottlieb with a reply for the ages. Check it out. What's thoroughly surprising, however, is that Gottlieb's post didn't receive much backlash when it was sent out on April 11. Marbury didn't reply until late Monday afternoon, nearly four days later, but it was well worth the wait. Apparently Marbury's response refers to he and Gottlieb's rivalry back in high school. You guessed it...they both played ball in New York. It's one thing to trash talk about one's pre-collegiate career but there's something about the word "daddy" that just completes the banter. Gottlieb had to expect that writing off the entirety of the Empire State from a basketball perspective wasn't going to bode well for his Twitter mentions.